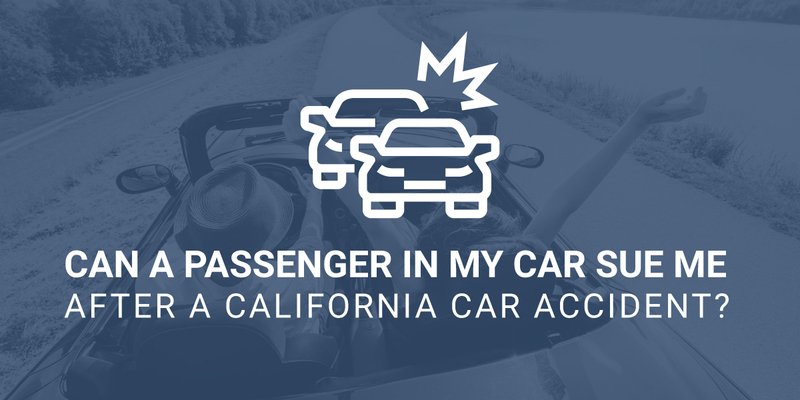 Can A Passenger Sue Me After a California Car Accident? While a car ride alone can be peaceful, traveling with friends, family, coworkers, or even acquaintances can make any drive more enjoyable. Car rides with passengers can be more fun, but they also place more responsibility on your shoulders to ensure that everyone in the vehicle gets to their destination safely. Generally speaking, passengers in car accidents have a much easier case than any other type of personal injury plaintiff, because passengers normally aren’t liable for the accident. Does a passenger have a claim against you? The answer depends on the circumstances surrounding the accident. In many situations, a driver is held responsible by default for passenger injuries that result from single-car crashes. If a driver hit something or wrecked their vehicle, it’s usually the outcome of actions they took or failed to take that amount to negligence. Of course, there are instances where you may not be held liable for a crash. For instance, if you were driving at a safe speed and lost control of the vehicle due to slick road conditions or a road hazard such as a pothole, the crash may not be considered your fault. Nevertheless, you will be held responsible for damages in crashes that result from speeding, distracted driving, drunk driving, and other negligent behaviors. When additional vehicles are involved, fault will depend on the nature of the accident. 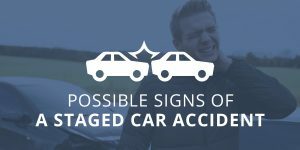 In cases where your car malfunctioned or you were hit by another vehicle, you likely won’t be held responsible for the accident. On the other hand, if you were responsible or partially responsible for an accident, a passenger may have a case against you if they can prove fault and damages. 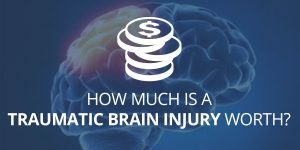 What Damages Could You Be Liable For? Property damage to any personal possessions the passenger had such as cell phones, laptops, cameras, etc. If a passenger was killed in the crash, the family may also bring a wrongful death lawsuit against you. California law is relatively vague in regards to what family members can recover in a wrongful death suit. The law states that any “just” damages may be available. In general, additional damages could include the cost of funeral and burial expense, a loss of intangible support, and a loss of household services. What If The Passenger Is Responsible For The Accident? In certain circumstances, a passenger can be held liable for an accident. One such instance would be if a passenger actively interferes with a driver’s ability to control the car. Actions, like reaching over and grabbing the steering wheel, could place the passenger at fault. Nevertheless, it’s extremely uncommon for passengers to be held liable for an accident. Despite the fact that passengers can provide a major source of distraction (studies show that performance regarding reaction time, lane position, and vehicle speed all get worse with passengers in a vehicle), passengers typically aren’t held liable for distraction. For instance, if a driver turns around or takes their eyes off the road to answer a passenger question, the driver was still responsible for turning around to answer the question. If you were recently involved in an accident with a passenger in your car, it’s in your best interest to speak with an attorney. An attorney can investigate your case to help you determine liability. There may be ways to limit your liability or make it easier to pay the damages you owe. Even if you think you’re entirely at fault, that may not be the case. The jury may find that you were only 50% liable, which would alter how much a passenger could collect from you. Other factors such as whether or not you were driving an employer vehicle or another party was involved with what is known as a “deep pocket” will also affect the portion of damages you could be responsible for. 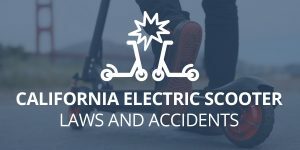 Depending on the circumstances of the accident, you may be able to sue the other driver for damages such as medical bills and expenses incurred by others in your vehicle. Megeredchian Law is unlike the average California personal injury law firm. You’ll never be left in the dark wondering what the status of your case is. We are available to answer your questions 24/7 and you will always have direct access to your attorney. We take pride in our results and settle cases with a 99% success rate. Contact us today by calling (888) 243-2050 or filling out an online contact form.